The aim of this study was to investigate the diagnostic accuracy of rheumatoid factor (RF) isotype for the detection of primary Sjogren’s syndrome (pSS) and evaluate the clinical and serological associations of immunoglobulin (Ig) A RF in patients with pSS. RF levels were measured in 77 and 37 patients with pSS and idiopathic sicca symptoms, respectively, using ELISA and analysed with respect to clinical and laboratory disease characteristics. Receiver operating characteristic curves were used to determine and compare the diagnostic accuracy of IgA RF with other diagnostic tests. Serum levels of IgA RF were significantly higher in patients with pSS than in those with idiopathic sicca symptoms. IgA RF showed sensitivity, specificity, positive, and negative predictive values of 83.1, 78.4, 88.9, and 69.0%, respectively, for pSS diagnosis. 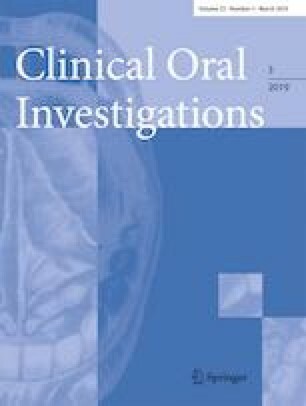 IgA RF was associated with xerostomia, severe sialoscintigraphic grade, low unstimulated salivary flow rate (USFR), antinuclear antibody, high IgG and IgM/G RF levels, and low C3 levels in patients with pSS. IgA RF titres had positive correlations with sialoscintigraphic grade and IgG and IgG/M RF levels and had negative correlations with USFR and C3 levels. Our findings confirmed the potential of IgA RF to distinguish pSS from idiopathic sicca symptoms. The presence of IgA RF in patients with pSS was associated with significantly worse exocrine function and active serologic profile. No association between IgA RF and extra-glandular manifestations was noted. IgA RF should be the predictive and diagnostic marker in patients with pSS. This work was funded by the Konkuk University Medical Center Research Grant 2016.